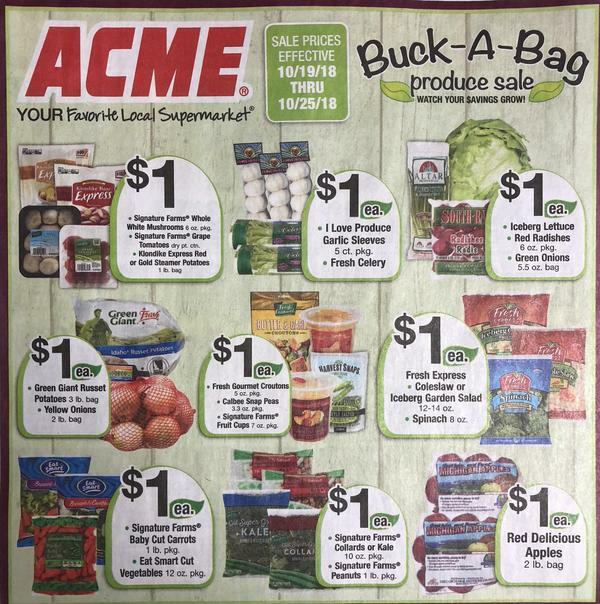 Acme: Buck-A-Bag Produce Sale Thru 10/25! Acme’s Buck-A-Bag Produce sale is on thru 10/25, there are some great items included in this sale. Here is a list of produce items included in the Buck-A-Bag Produce sale. Signature Farms Grape Tomatoes dry pt. I love Product Garlic Sleeves 5ct pkg.